There are several other mounting examples in our instructions. A small bridge over your Koi pond makes a perfect mount for your Super Feeder! One other neat way to mount the feeder is to place a vertical 2x4 in a container next to its outer edge and fill it with sand or concrete. Even add a swing arm if you want! You can partially fill it with dirt and plant some flowers, if you are going to let it stick out of the water. 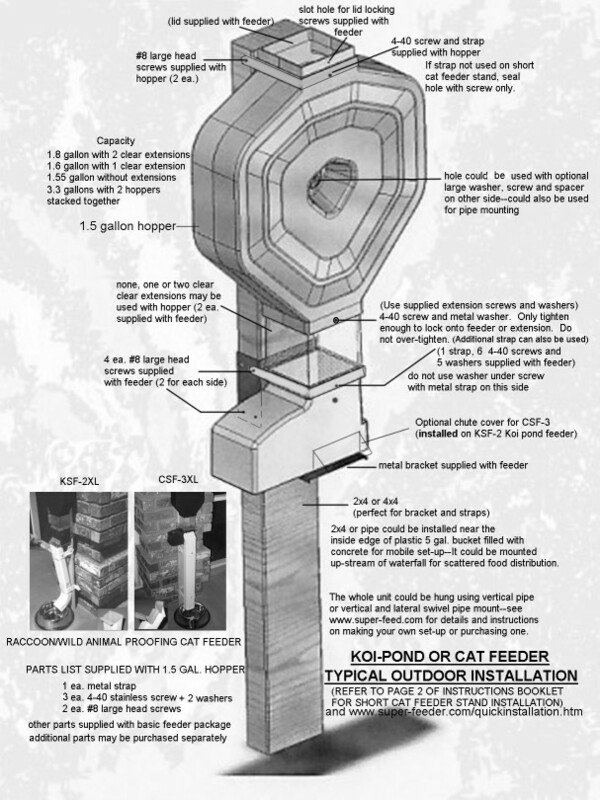 Using this option, you can move and place the feeder at will, wherever you want in your pond and keep it away from predators.